Price: $1.99 (as of 05/31/2015 at 3:00 PM ET). Starting your life over at age thirty-eight isn't easy, but that's what Sarah Winston finds herself facing when her husband CJ runs off with a 19-year-old temptress named Tiffany. 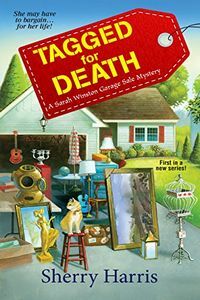 Sarah's self-prescribed therapy happily involves hitting all the garage and tag sales in and around her small town of Ellington, Massachusetts. If only she could turn her love for bargain hunting into a full-time career. Find more discounted mystery, suspense and thriller titles on the Omnimystery News Facebook page.